Ultimately, California should prioritize cost effective and sustainable solutions to create an effective portfolio of water solutions. 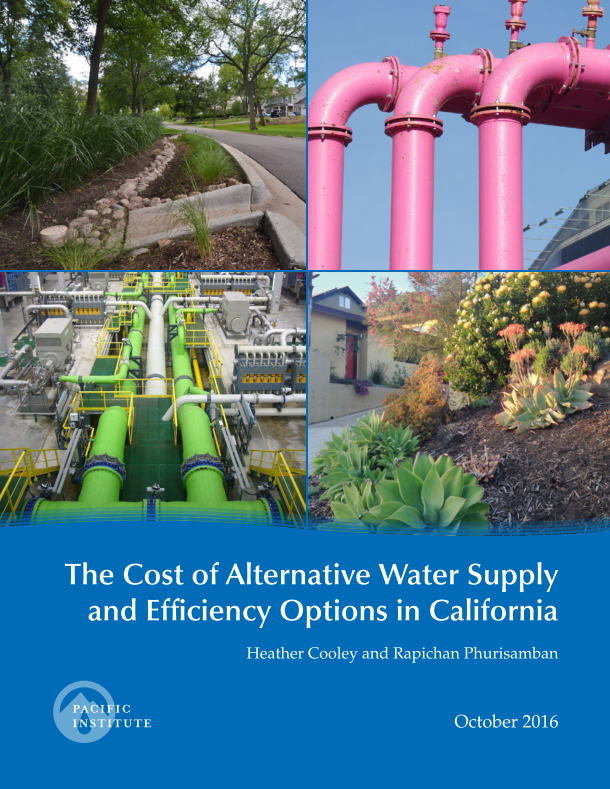 While the cost and availability of these options will vary according to local conditions, the report provides guidance that allows for a cost comparison of alternative water supply and efficiency options and an indication of how to prioritize local, state, and federal investments. View and download the full report here. View and download the Executive Summary here. View and download Appendix A here. View and download Appendix B here.